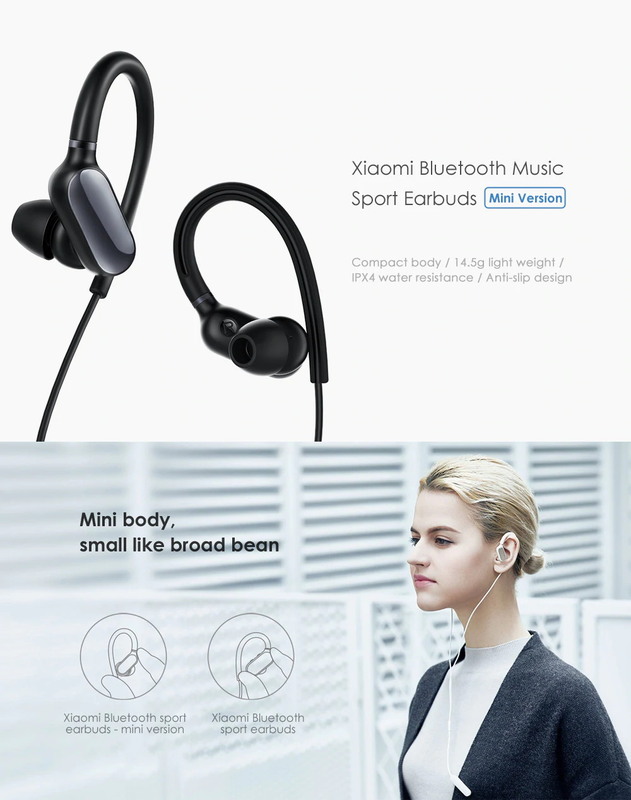 The Xiaomi Redmi AirDots earphones packs a built-in RTL8763BFR chip and Bluetooth 5.0, can achieve bilateral calls. Weighing at just 4.1g, each earphone is lighter than a coin. With included three silicone earplugs, you can adjust the earbuds freely for comfortable wearing. The single earbud can be used for 4 hours and with the 300mAh charging box, the use time can be extended to 12 hours. Features multi-function physical buttons, it can effectively reduce false touches and at the same time supports voice control, double-click can wake up the mobile phone voice assistant, which is very convenient to use. 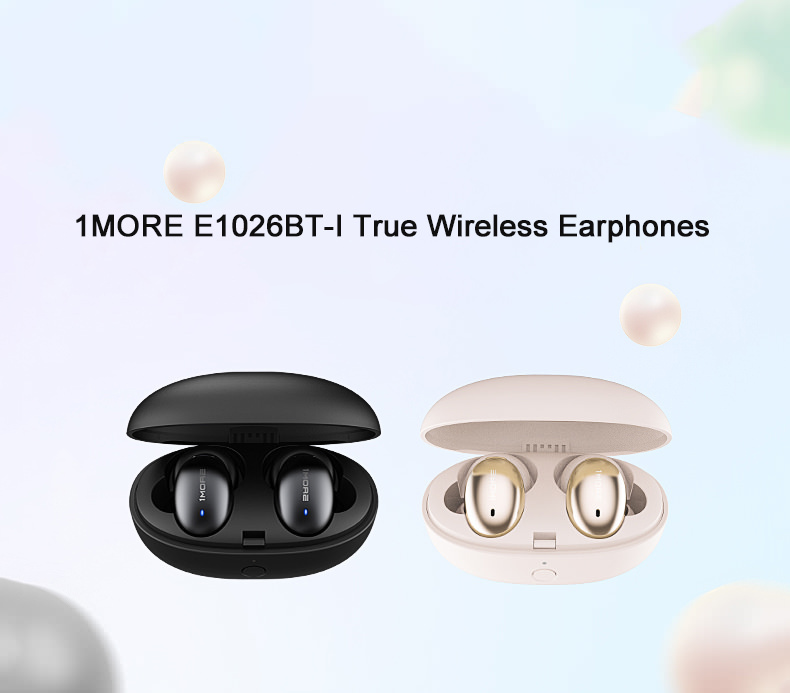 X18 wireless Bluetooth earphones features advanced BT 4.2 + EDR technology, the connection range of up to 10 meters, you will never worry about wire tangles. Don't have to press any buttons, only pull them out of magnetic charging box and X18 automatically appear on your smartphone. Every earbud can be used as an independent Bluetooth headphone sperately. Built-in HD microphone, you can enjoy clear hands-free calls. 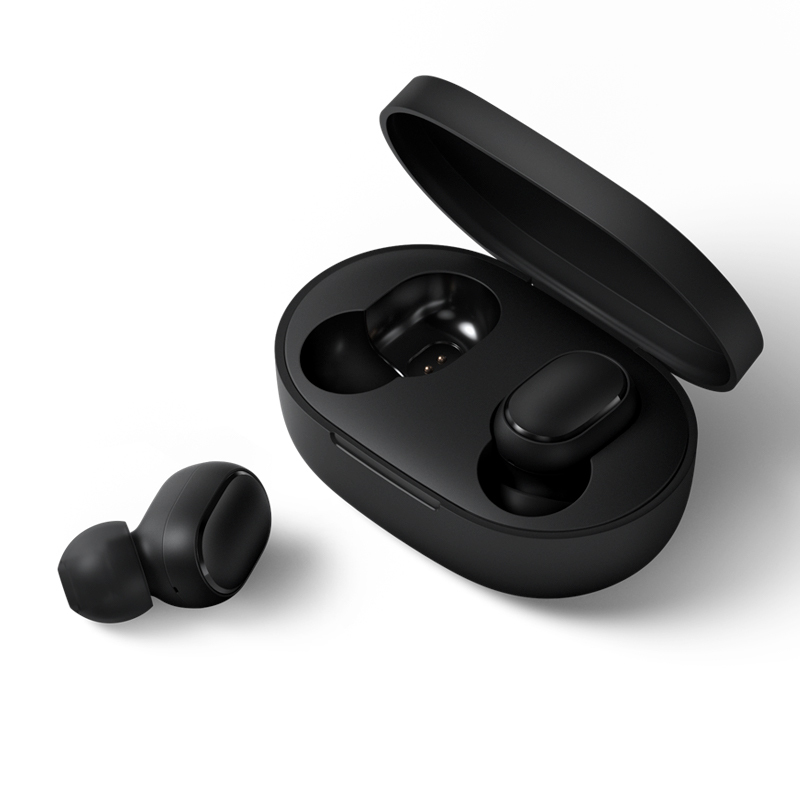 The earphones can last for over 4 hours talking time and 2.5-3 hours music playtime on a single charge, and the 400mAh battery box can charge the two earbuds 4 times. 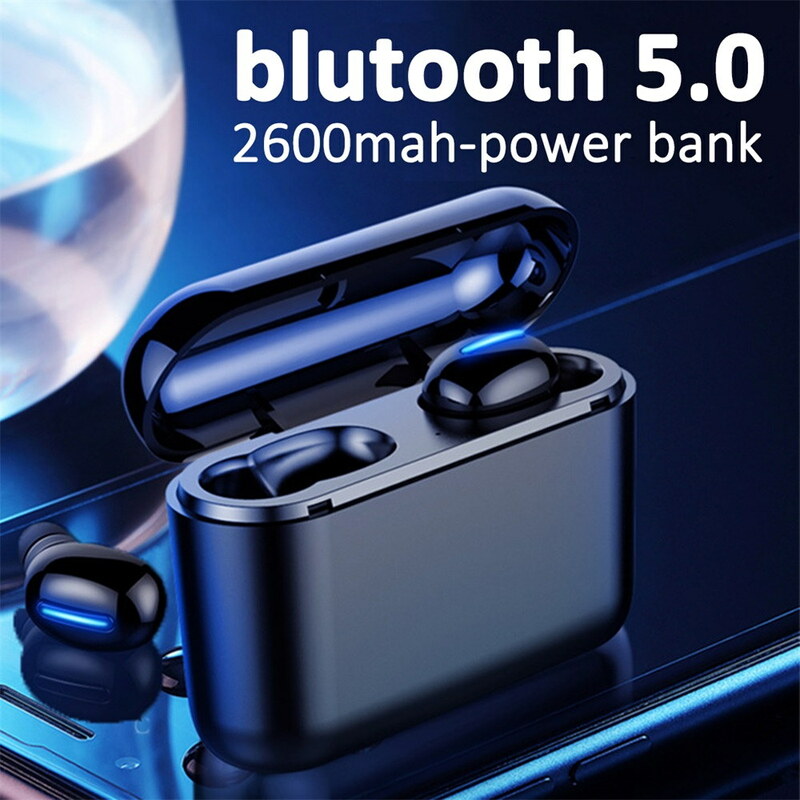 ● Bluetooth V4.2 technology with high definition sounds, stable connection and faster charging. ● After the first pairing, connect with your mobile phone automatically when taken out from the charging case. ● Left and right ear channel separation, you can use the earphones solely, or use them in pairs. ● One button design, one click to power on/off, pause/play/previous/next music, answer/hang up/reject calls. ● HD microphone grasps the detail of voice, provides clear hands-free calls while driving or doing sports. ● CVC noise reduction efficiently filters noise, keeps HD phone calls. ● 60mAh battery in each earbud ensures about 3 hours of working time, the charging box enables headset charging for 3-4 times. ● Be charged automatically in the 400mAh charging box and stop automatically after fully charged. ● The battery power can be displayed on iOS and Android devices. ● 4g lightweight, mini size and 3 pair of soft eartips, guarantees long time wearing comfort and stability. 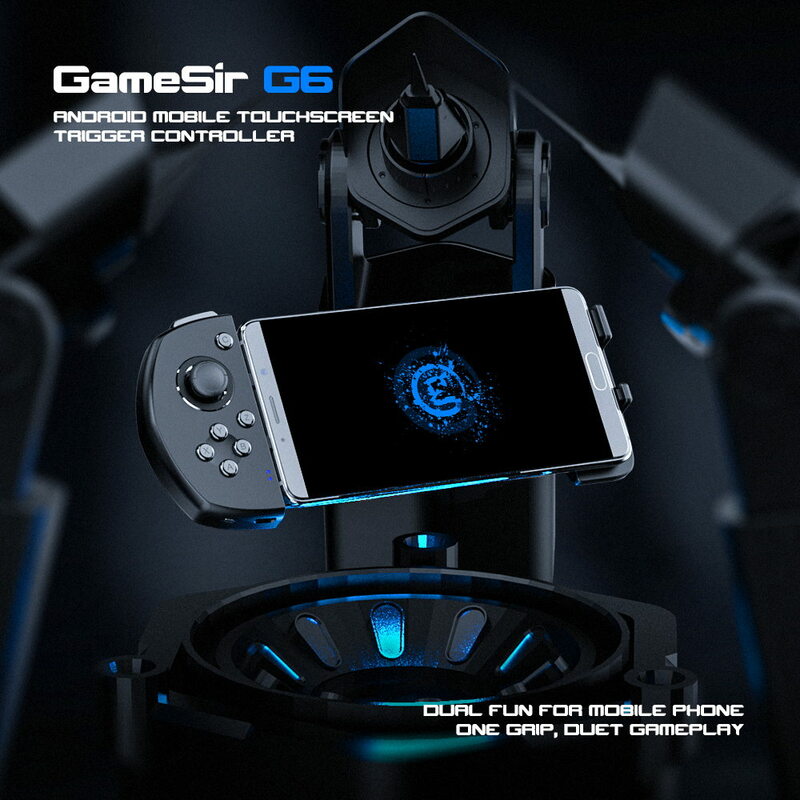 GameSir G6 game controller is specially made for mobile platform MOBA games that adapt well to shooters, turn your phone into a full console. 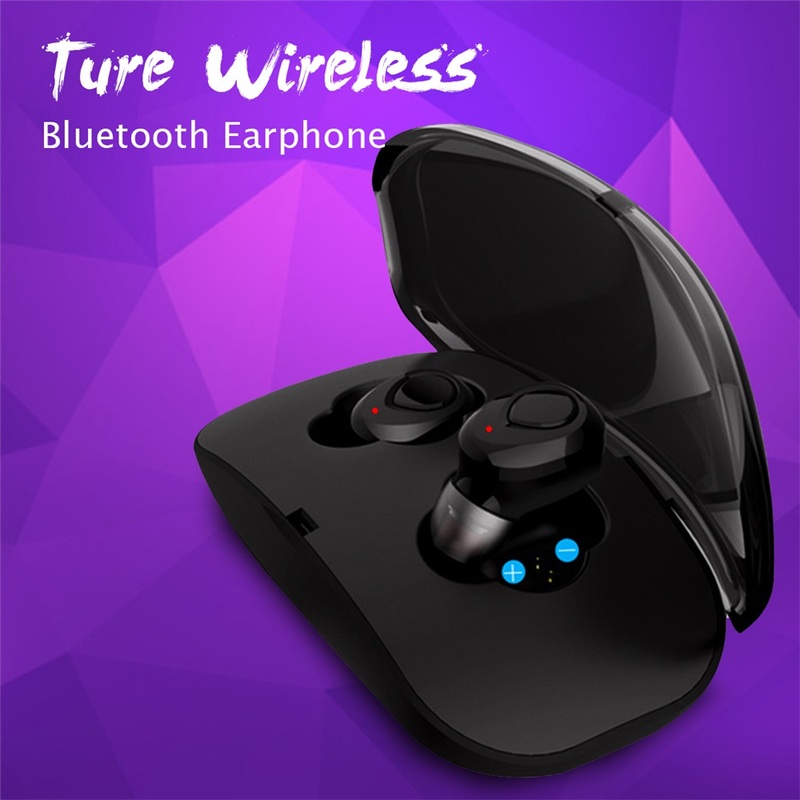 ● Bluetooth wireless connection, high speed, low delay and low consumption. ● Equipped with 2 buttons to support Z/C, for better MOBA game play. ● Made of plastic and silicon materials, weighs only 102g and designed to fit many sizes of hands, ensures play comfortably for long periods without hand fatigue. ● Supports Vivo IQOO smartphone, no need to root for game playing in Vivo smartphone. ● Dual vibration makes the gaming experience more realistic. ● Combining multiple keys, flexible buttons, additional programming utilities and core design, make it easier for PUBG mobile games. ● Stretches up to 167mm, supports for 5-6 inch smartphones with iOS 7.0 and above and Android 4.4 and above. ● Quick charging, one minute charge for two hours game playing. 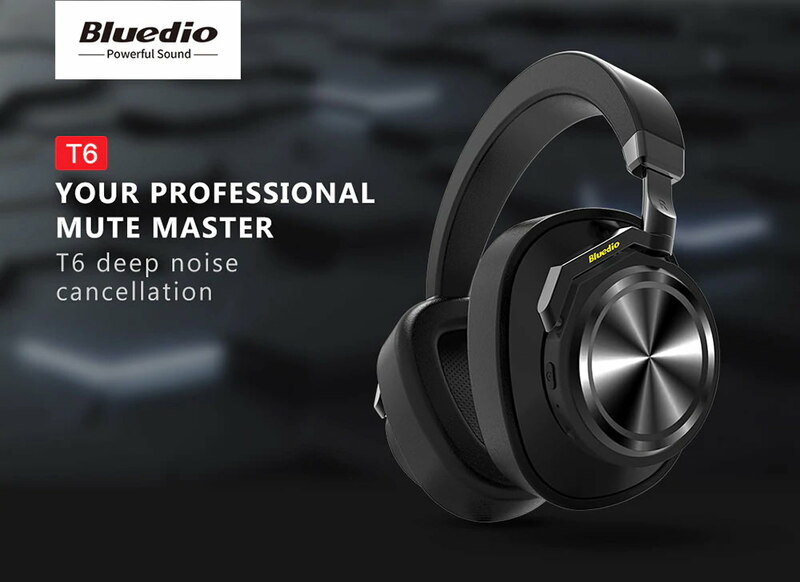 Bluedio T6 wireless headphone - Bluedio's latest generation of Turbo headphones, is your professional mute. ANC deep noise reduction -25dB, eliminates more than 90 percent of low-frequency noise of life, enhances your listening experience. Technology upgrading, using Max 97220 chip, the power amplifier effect is beyond your imagination. Appearance upgrade, more humane design, so that your ears no pressure. ● Supports Amazon Web Services (AWS), download Bluedio APP and access your AWS account can achieve smart voice vontrol. ● Adopts Max 97220 chip, stronger thrust, better control the misicality, music is dynamic and flexible. ● Equipped with Bluetooth 4.2, wireless transmission range up to 10m. ● Less Bluetooth power consumption and longer endurance, 25 hours playtime per charge at Bluetooth mode. ● Combination of Feed-forward noise canceling technology and Feedback noise canceling technology, build a pure listening space. ● Four built-in mini microphones and active noise canceling technology bring crystal-clear sound. ● 57mm fully plating titanium drive units, combining with vector flow supercharging technology, makes the sound steady. ● Over-ear muffs and a rotating ear cup design for better fit to protect your ears, can be folded flat. Headphones are usually an essential item, whether you're listening to the latest episode of your favorite podcast, your favorite musician, or an audiobook. A good headphone can restore the original sound and give you the best experience. Are you still hesitating about the high price of headphones on the market? 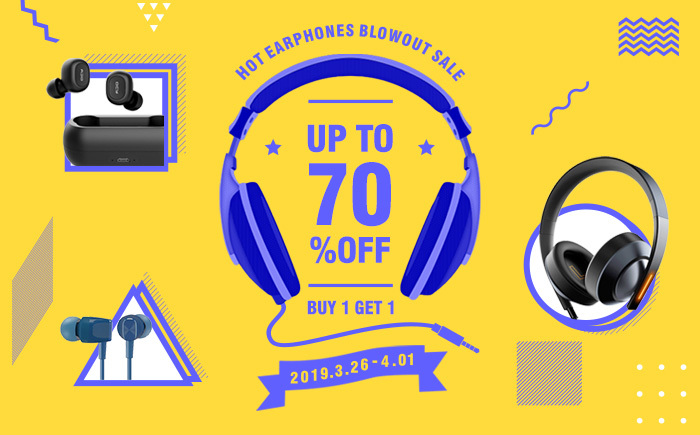 Take a look at GearVita, there is a massive headphone promotion in progress (Mar 26 - Apr 1), with a maximal discount of 70%! Details are as follows. 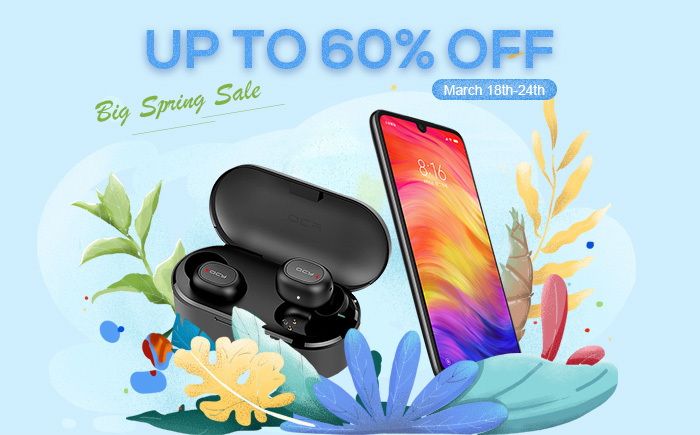 Buy Xiaomi Redmi Note 7 3GB + 32GB can get Vitog T12 Bluetooth earphones for free. 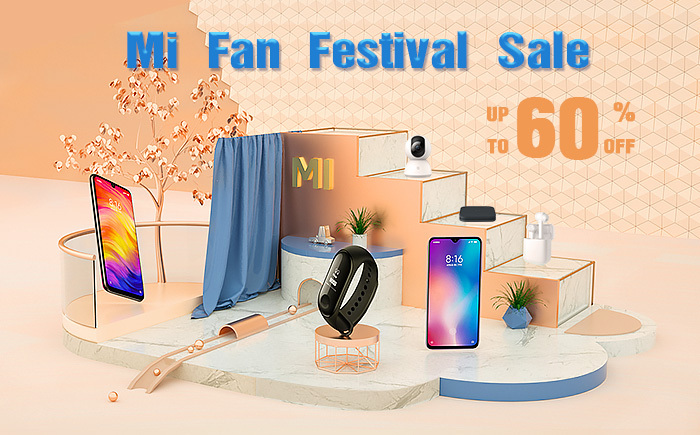 Buy Xiaomi Redmi Note 7 4GB + 64GB can get X18 Bluetooth earphones for free. 3. 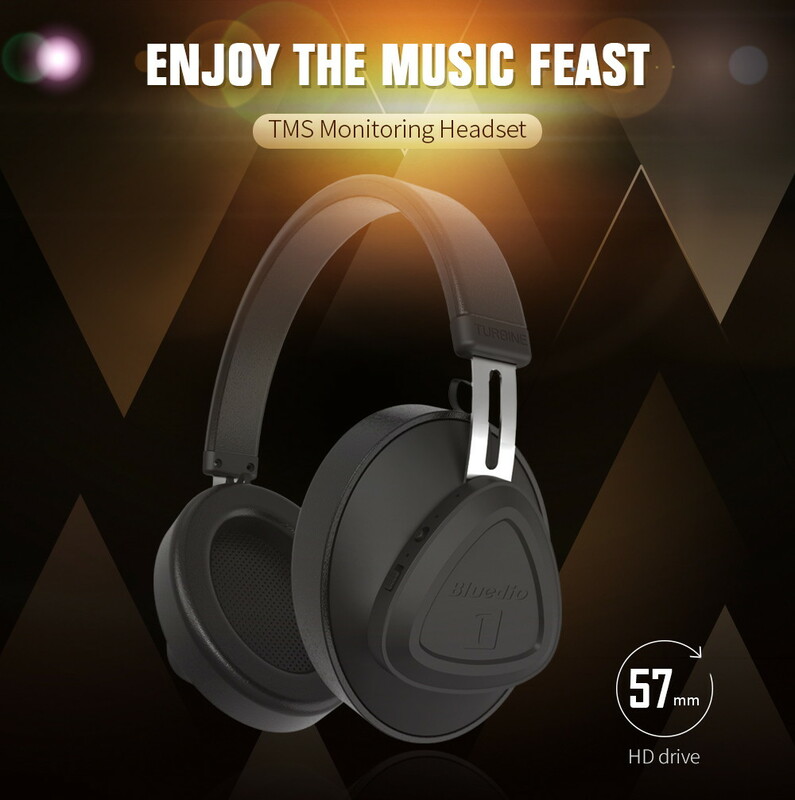 Major brand headphones with different discount levels, including Xiaomi, QCY, Huawei, Bluedio, Awei, Meizu, 1more, KZ, etc., up to 70% off. Take your workout to the next level with Beats Powerbeats 3 wireless earphones, featuring up to 12 hours of battery life to last through multiple workouts and secure-fit earhooks to maximize comfort and stability. With Fast Fuel, a quick 5-minute charge generates enough power for 1 hour of playback. Sweat and water resistance provides trusted durability and dual-driver acoustics deliver dynamic sound to power your workout. 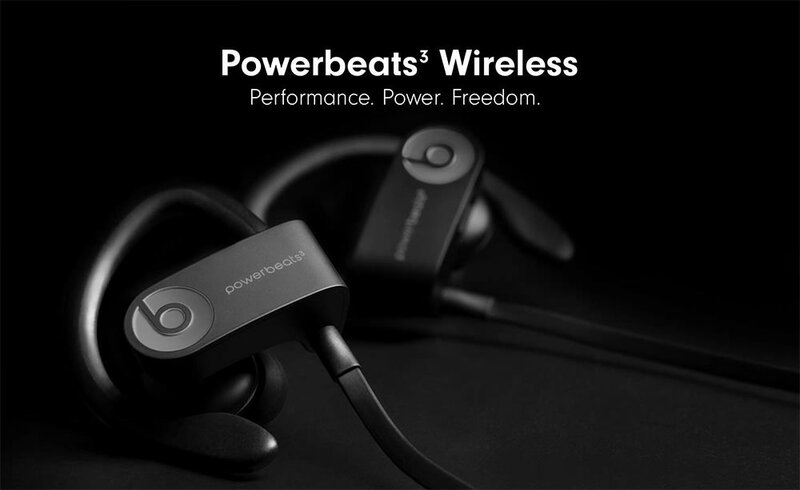 ● Connect via Class 1 Bluetooth with your device for wireless workout freedom. ● Powered with the Apple W1 chip, brings 12 hours of battery life. ● With Fast Fuel, a 5-minute charge gets an hour of playback. ● Sweat and water resistance to handle tough training. ● Dual-driver acoustics deliver a robust, wide range of sound with dynamic highs and powerful lows. ● Stay hands-free with the cable management clip, which keeps the earphones in place. ● Flexible, secure-fit earhooks maximize stability. ● Take calls, control your music and activate Siri with RemoteTalk. ● Multiple eartips for a personalized and comfortable fit while flexible. 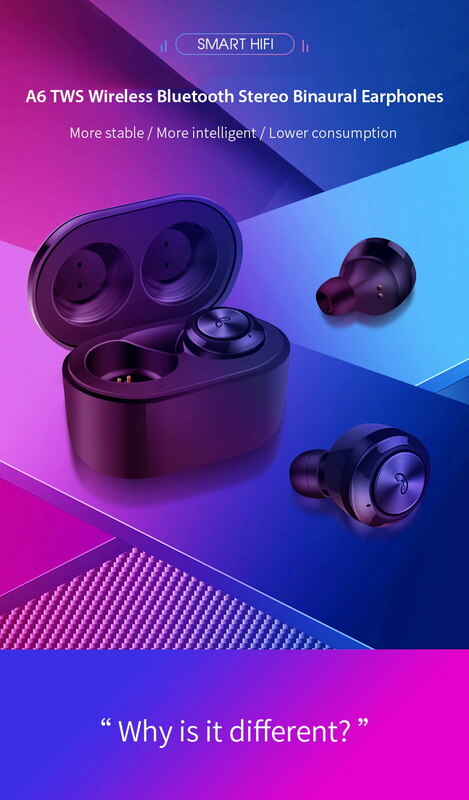 A6 wireless Bluetooth earphones adopts advanced Bluetooth 5.0 technology for a more stable signal, lower power consumption and wider transmission distance. Each earbud has a large capacity of 50mAh battery, ensuring 3.5 hours of music playing time or calling time, and the 300mAh charging box enables to charge the earphones for about 2 times. LED indicators show the charging condition and pairing state. It can connect with two Bluetooth-enabled devices at the same time, freely switch between your business and personal phones. What's more, the earphones achieve automatically pairing when open the charging box, easy operation. 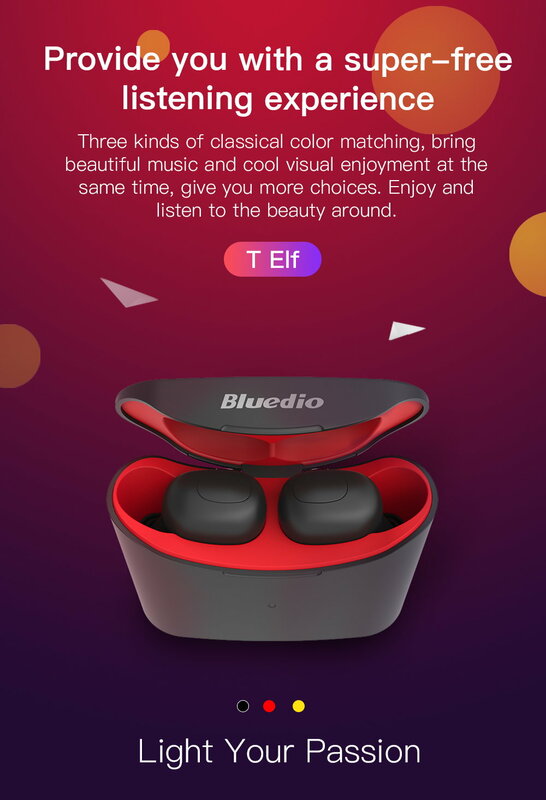 ● Bluetooth 5.0 technology, better anti-interference performance and more stable connection, ensuring real-time transmission of calling and game-playing to avoid voice delay. ● No wires tangling, automatically fast pairing within 30ft Bluetooth range in the open space. ● New CVC8.0 dual noise reduction technology makes voice clear even in noisy environment. 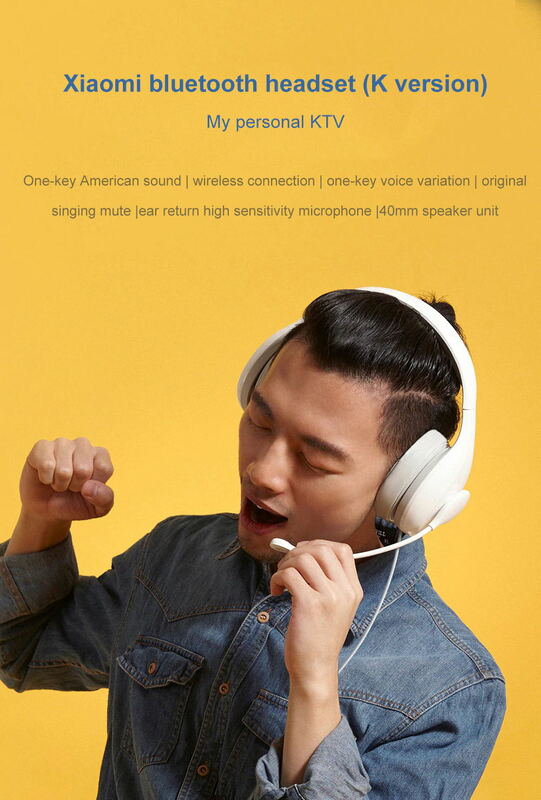 ● High sensitivity microphone improves the recognition level of voice. ● The single and double ear mode can be switched. ● One key for all functions, including power on/off, answer/refuse call, play/pause music, convenient for operation. ● Half in-ear design, only 4g weight of each earbud, no pressure to ears. ● Soft silicone material, comfortable to wear for a long time. ● Equipped with 3 pairs of different sizes earmuffs for the best fit. ● 300mAh charging box can recharge the earphones for 2 times, standby time up to 100 hours after full charge. Featuring an exclusive driver design, the Monster iBeats headphones deliver you rich and powerful sounds with exceptional clarity. The noise isolation technology reduces external noise and retains the originality of the music played. Incorporate a built-in microphone, you can perform hands-free calling and online chats even on-the-go. Using the ControlTalk button, you can adjust the volume, switch tracks, mute the microphone, and answer calls with ease. ● Ergonomic lightweight design, provides long-term wearing comfort. 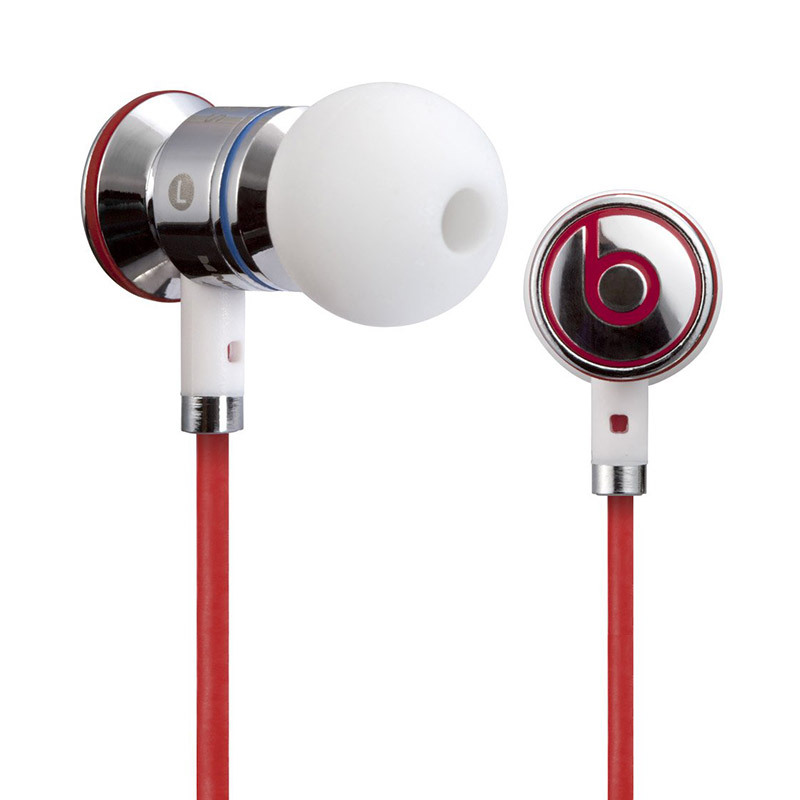 ● Sealed in-ear construction and multiple eartip block out external noise. ● Built-in mic for hands-free call, with in-line control, easy to control music and call. ● Solid metal housing resists vibrations for purest sound without sonic side effects. ● Tangle-free flat cable ensures using flexibility through clothing or backpack. ● Universal 3.5mm audio plug, compatible with almost all audio devices with 3.5mm audio jack. The Meizu EP2X earphones adopt a new streamlined cable design with ridged curved contours leading perfectly to the earbuds, breaking free from conventions of straight lines. The new curved design not only creates more space in the sound chamber and assists the sound entering your ears, but also makes the earphones comfortable to wear, shaped to fit your ears more closely. The latest EP2X overshadows all predecessors in design, acoustic quality and characters. ● Newest ergonomics design, more comfortable to wear. ● PC and ABS compound material for external cavity, anti-dust and durable. ● Premium high elasticity gel silicone earbud tips ensures good seal and reduces leakage of sound. ● 14mm two material composite diaphragm, effectively reduce the distortion of sound. ● Dual back cavities design, boost the volume, brings a strong sense of space and low frequency, triple band balance. ● 32Ω + 105dB high sensitivity bass impedance design works for any device. ● Anti-winding cable, easy to retrieve. ● Built-in mic supports hands-free calls. ● On-cord control for the volume adjustment, music switch and hands-free call. 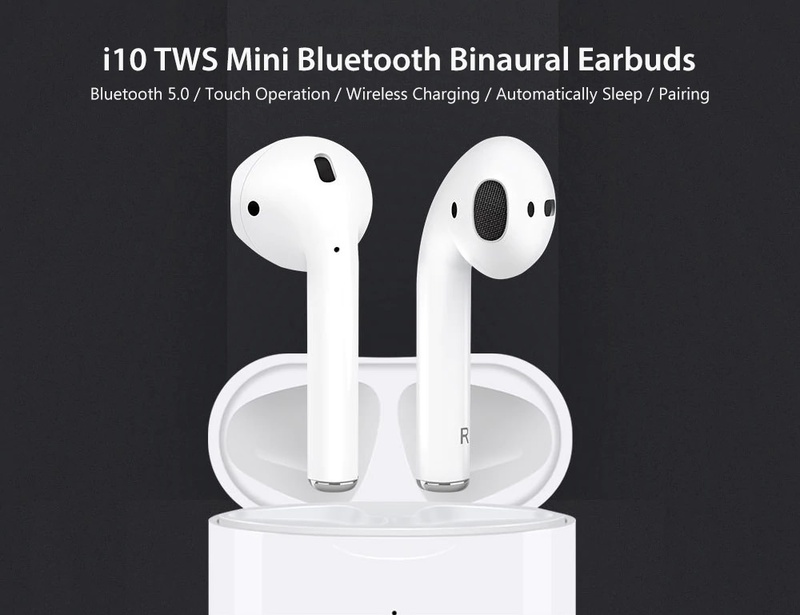 I9S TWS Bluetooth earphones contain two pieces, support binaural call, can be used separately or in pairs. It comes with a portable magnetic charging box, can provide extra power for earphones. High quality CSR chip and great noise canceling effect, deliver HiFi stereo crystal clear sound. Ergonomic super mini design, ultra lightweight and secure fit, no troublesome wires from tangling or around your neck. ● Adopts Bluetooth V5.0, stable transmission, low power consumption and strong compatibility. ● CVC6.0 noise reduction technology and high sensitivity microphone guarantee clear hands-free talk. ● One button control, freely switch between call and music. ● Ergonomic design ensures stable and comfortable auditory effect when sporting or walking. ● Compatible with all Bluetooth devices, the wireless range up to 10 meters. The Meizu EP51 Bluetooth earphones comes with magnetic design, very convenient to store while not use. It is equipped with a British-made CSR Bluetooth module with support for Bluetooth 4.0 + EDR, provides connectivity within a radius of up to 10 meters. Most noteworthy, it is built-in Apt-X digital audio compression algorithm technology, ensures crystal and pure music and brings you brilliant listening feeling, perfectly fits for sportspeople and everyone who wants to enjoy music wherever they are. ● Three-stage design made of silicone, plastic and ultra-light aviation-grade aluminum, with a weight of only 15.5 grams. 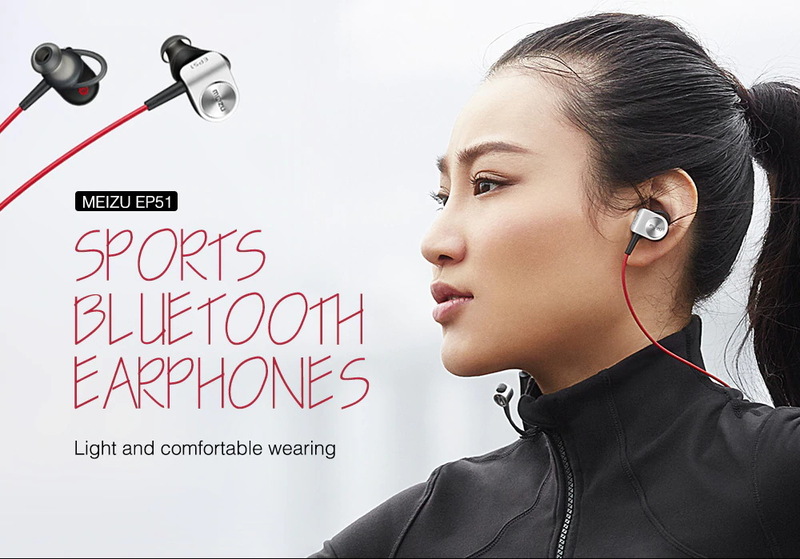 ● IPX4 waterproof degree, free to do sports even for heavy sweat. ● Soft silicon earbud tips, ultra-soft, very comfortable to wear. ● Built-in Apt-X digital audio compression algorithm technology, brings brilliant sound. ● Drive-by-wire, with microphone and volume control. ● High strength, anti-tangled elastic cable. ● Magnetic design, very convenient to store. ● Built-in 60mAh rechargeable battery, for about 6h playing time, 400h standby time. Zadnje izmijenjeno od: gearvita. 08.04.2019. u 08:28. The Xiaomi walkie talkie headset with a wireless earhook design, offers the most flexible and convenient experience. 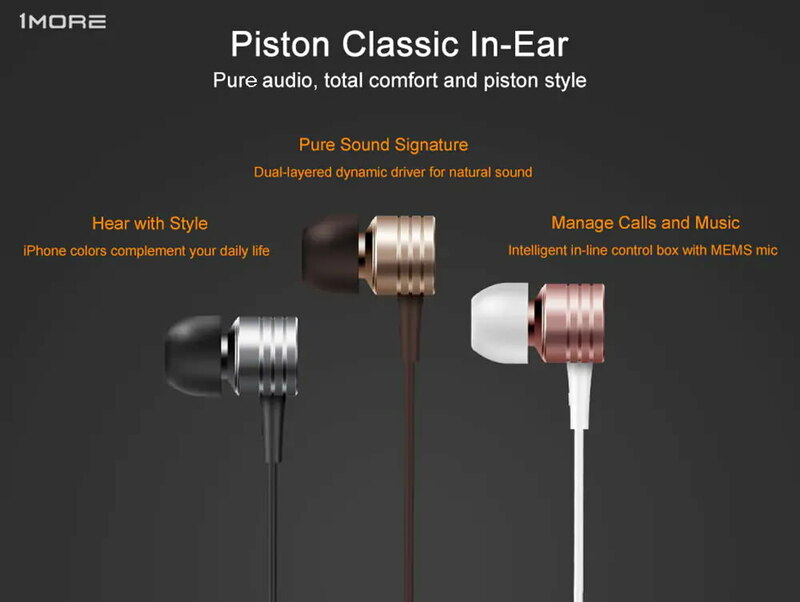 It is equipped with modern Bluetooth 4.2 technology, allowing stable connection within 10m range and the ability to simultaneously connect two devices. The 100mAh lithium battery is integrated with the hardware enhancement technology to increase standby time up to 125 hours and the operating time up to 7 hours. Meanwhile the micro USB charging interface is quite popular with only 2 hours of full power supply to the device. 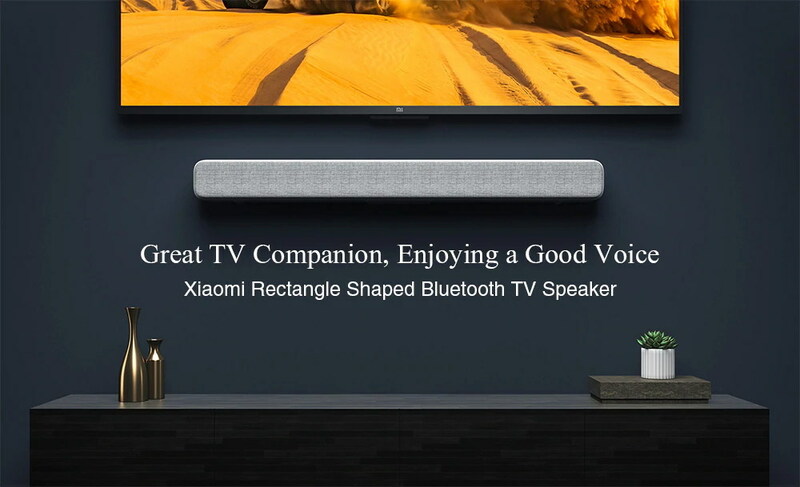 Xiaomi TV soundbar is a high-performance artificial speaker, it can listen and speak like your real friend. This speaker is designed for TV and supports most TVs on the market to make you experience the effect of cinema at home. Besides, it supports wall-mounting and seat-mounting, you are free to choose according to your actual situation. 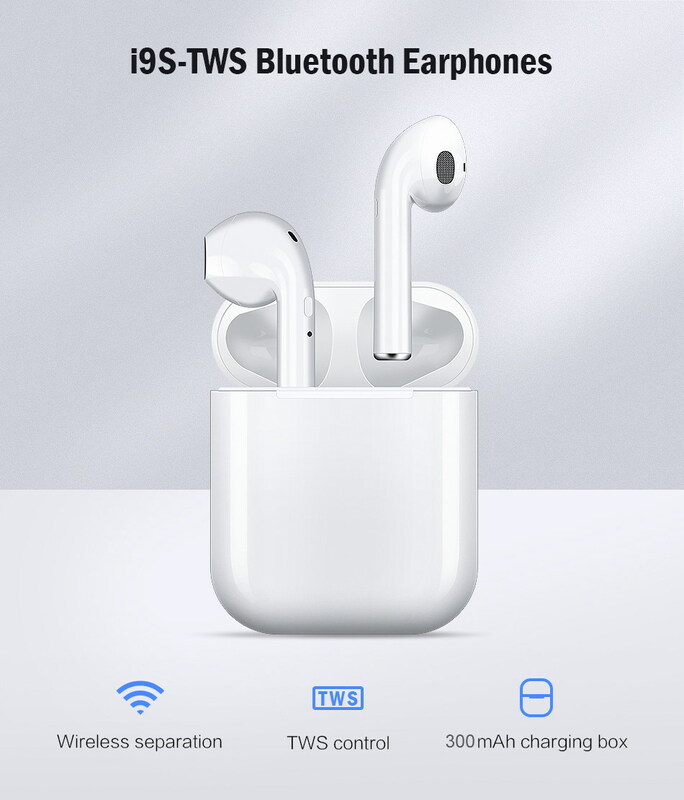 This Q32 wireless Bluetooth earphones is equipped with Bluetooth 5.0 technology ensures long and stable transmission distance up to 10m, and lower power consumption. Comes with a 2600mAh charging box, it can automatically charge for the earphones the moment you place them on the charging box and it also can be used as a storage box.